When it comes to web development, Angular 2 reigns supreme. This streamlined and innovative platform is the go-to application for virtually every aspect of the front-end development process, and it’s becoming increasingly important across multiple industries that rely on powerful and engaging websites to attract new business. Although the platform itself is relatively simple, you still need the right instruction if you want to take advantage of everything that this program has to offer. The Immersive Angular 2 Bundle is packed with over 40 hours of in-depth training, and it’s currently available for over 85 percent off at just $41. With six courses and 480 lessons, this training package is ideal for both aspiring developers and more seasoned pros looking to tackle one of the industry’s most important platforms. There are a series of introductory lessons that walk you through the most fundamental elements of the platform, along with a series of courses that teach you about integrating Angular 2 with a variety of programming languages, using third-party applications such as Spotify in order to add functionality to your sites, building problem-solving apps from scratch, and more. You’ll even learn how to build scalable mobile apps that work seamlessly with an endless number of specific user variables. 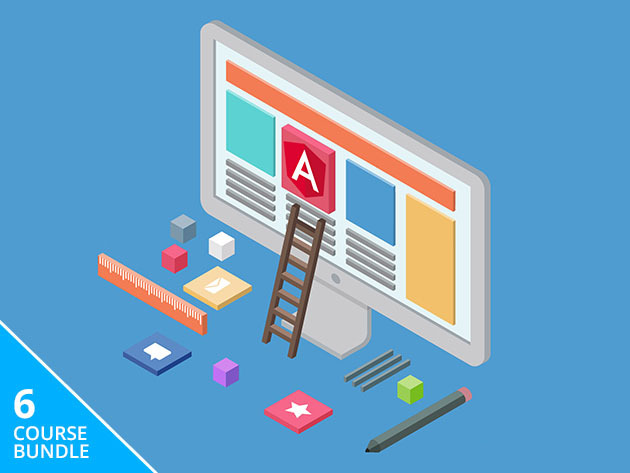 Embrace the world’s most versatile web development platform with the Immersive Angular 2 Bundle for just $41 — over 85 percent off its usual price for a limited time.